Blizzard has revealed what’s next for Heroes of the Storm after it announced it would be slowing down its efforts on the game. 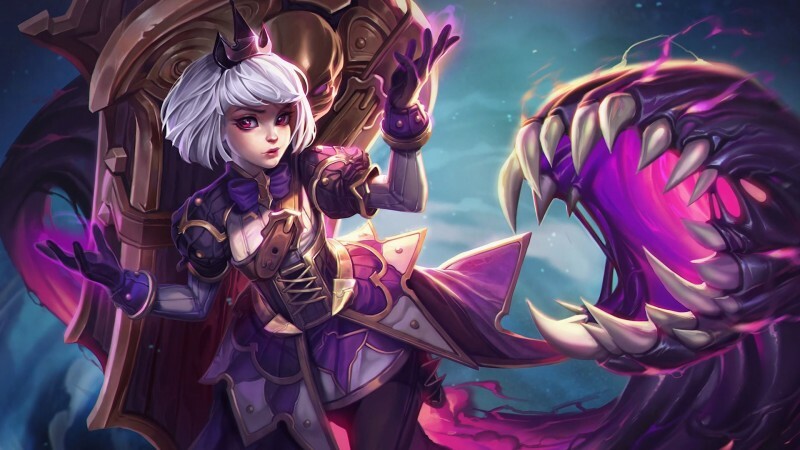 Late last year, the company announced it was moving talent away from the HotS team and shuttering its esports circuits (both professional and collegiate) for the game. In that post, the company mentioned players could still expect new characters and events, “though the cadence will change.” Yesterday, production director Kaéo Milker laid out some specifics about what that means. The big change that will affect most players next week with the arrival of the Resistance patch is a change that will allow players to more easily purchase skins directly, some of the changes to the game with the 2.0 update making players more engaged but preventing from just buying skins they wanted outright, pushing them instead towards leveling up and earning loot boxes instead. When the update hits, all skins in the store will purchasable with the earnable Gems currency. If you have Gold in your account, you’ll now be able to convert it to Gems in order to purchase the skins you want. Along with reinforcing that more heroes were on the way (but not revealing anyone new), Milker announced that the yearly Lunar New Year seasonal event was being “re-imagined” as the Spring Event, which would see the return the of the time-limited Lunar New Year content, along with some a new skin theme. The team will continue hosting regular events. “Last year we had a ton of fun with our unique seasonal events like Nexomania in Summer, The Fall of King’s Crest in Fall, and Toys in Winter, and we’d like to continue exploring fun new universes and themes to coincide with each season moving forward,” Milker said. As for balance updates, the teams behind the game’s matchmaking, the developers behind changes coming to quick and ranked matchmaking (including the soon-to-come change to how roles work) will be hosting Reddit “ask-me-anything” sessions later this month, detailing the changes and taking questions from the community. The post comes in the wake of not only Blizzard’s reduced resources on the game, but also layoffs across Activision and Blizzard as a whole, though it’s not yet clear if that will affect the HotS team. I definitely had a feeling of “how long will this keep going?” as I read the post. Hopefully Blizzard is able to maintain HotS for as long as it has a passionate community, but this definitely sounds like we’re the early stages of its “sunsetting” stage.